1 x Airfix (new tool) BAE Hawk T.1A with 91 parts, 2 resin ejector seats, and decals for one option. Available on-line from The Aviation Workshop for £15.75 and Hannants for £15.74. Modern kit, excellent quality resin & decals, and attractive subject choice. Appallingly primitive paper mask that must be cut out and somehow attached to the model, instead of a modern pre-cut self adhesive mask. 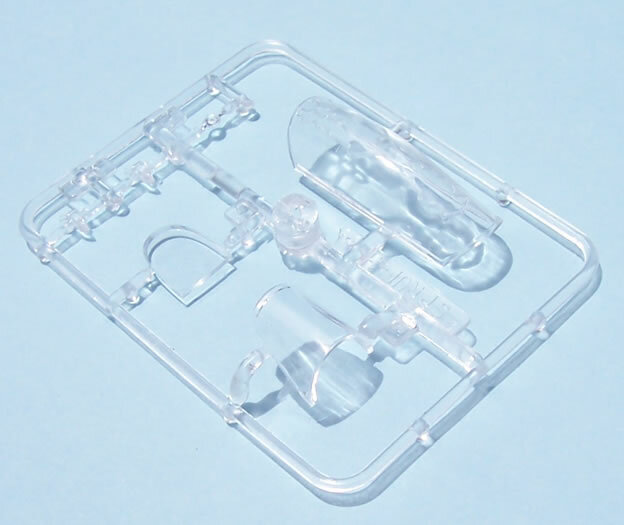 Good idea, quality components, good packing and instructions all let down by a cheap approach to the complex masking – A case of “But for a ha’peth of tar”. I think that only the most determined or skilled will finish this one. The BAE Hawk needs little introduction, representing as it does one of the most successful Western advanced trainers. Over 900 have been produced, and serve with 18 nations. Matchbox: Single-seat, suffering from all the traditional production faults frequently associated with this brand, simplified detail, soft moulding and trenches for panel lines. Fujimi: T.Mk1, in several boxings. Nicely moulded, recessed panel lines, but has accuracy issues. Airfix: T.Mk1, with very fine raised panel lines, reasonable detail and the best of the early Hawk releases in my opinion. 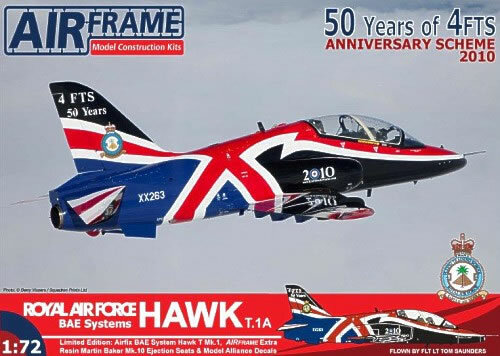 Airfix (New Tool): T.Mk1 and Series 100 kits released following the Hornby takeover. Recessed panel lines, although deeper than ideal, good decals and probably the best Hawk kits in this scale. I can recall noticing the AIRFrame brand-name listed at some on-line shops, but gave it little thought until receiving this kit for review. Supplied in a very sturdy mailer-type box that is very hard to shut again once opened, I was struck by the box-art with a Hawk in the standout 4FTS 50th anniversary scheme. 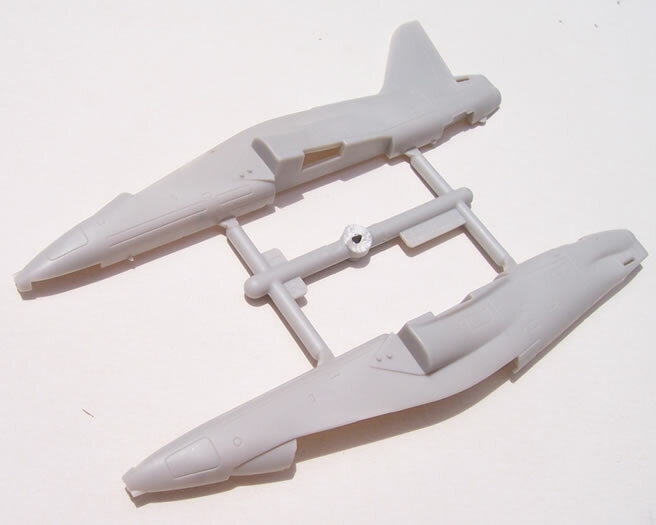 Upon opening the box I thought that the parts looked familiar, and realised that they were the new-tool Airfix T.Mk1. I glanced back at the box top, and sure enough it acknowledges that it contains the Airfix kit, along with two AIRFrame Extra Resin Martin-Baker Mk.10 ejector seats & Model Alliance decals. 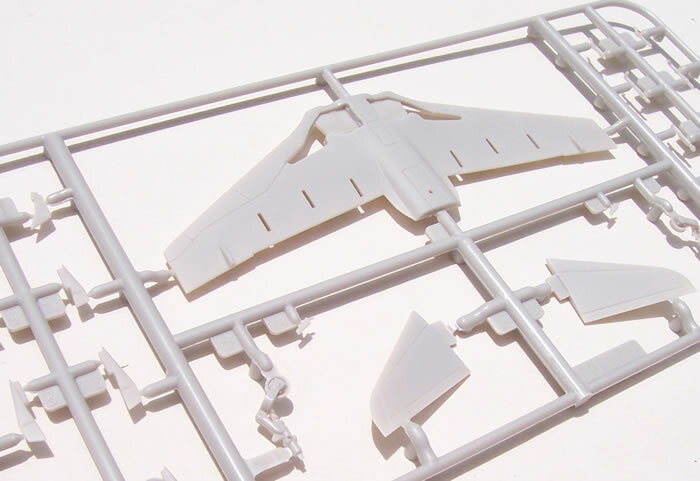 Apparently this is the first of a series of AIRFrame Model Construction Kits produced by The Aviation Workshop. So that’s rather a lot of brand-names to get your head around, so I’ll stick to AIRFrame from here on as much as possible. 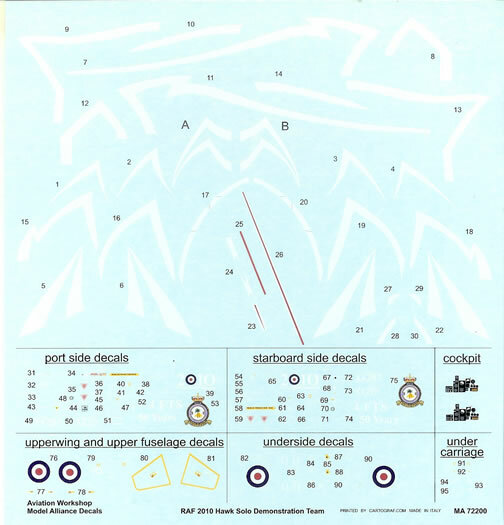 Attractively produced instructions contain the Airfix assembly graphics, and include several small colour photos of the subject aircraft. 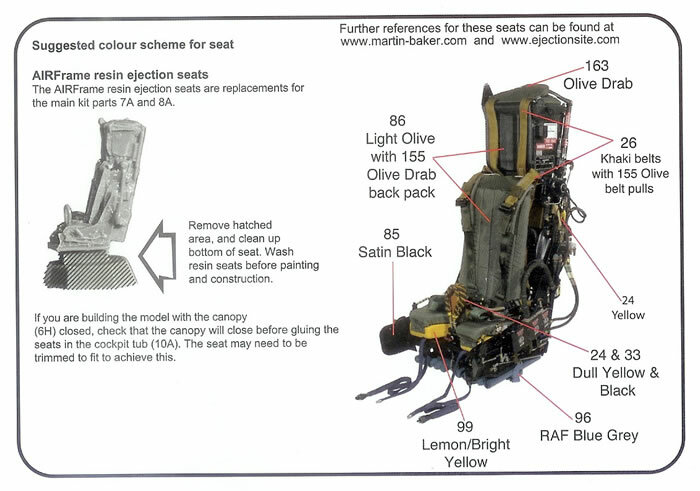 More usefully they include a colour photo of the Martin-Baker Mk10 seat along with generic colours for its detail painting. 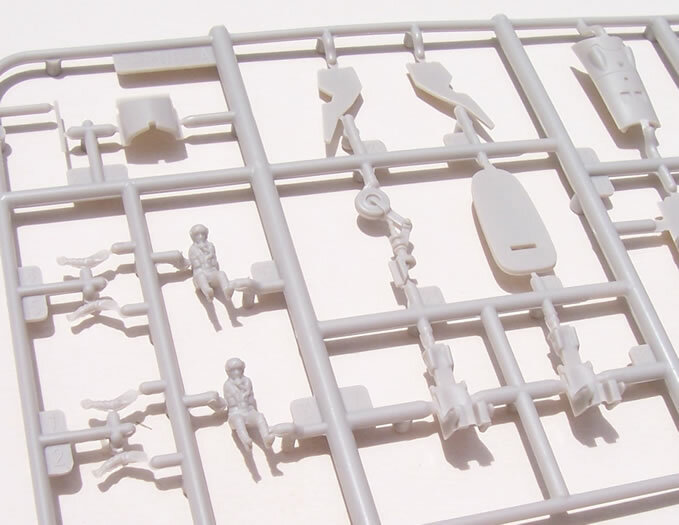 The other very well produced instructions are those by Model Alliance Decals. Produced in colour with four views, they provide all decals locations and paint colours are referenced to BS381C as well as Humbrol and Xtracolour. A paint mask and decals are also supplied, but more on these later. 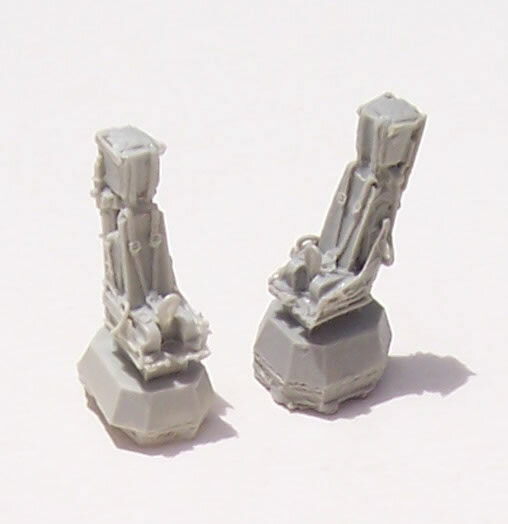 The last items in the contents to mention are two excellent resin ejection seats. 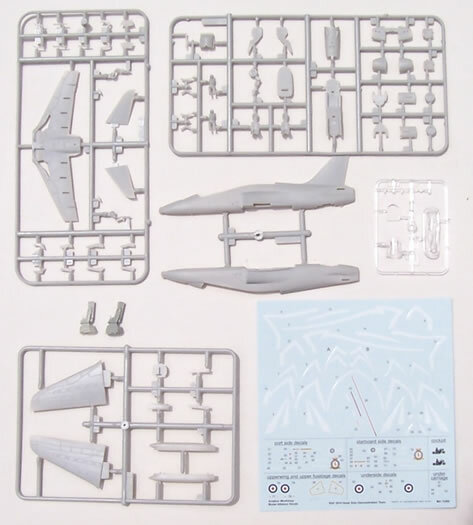 The new Airfix kit has been reviewed quite a bit recently, and the focus of this review will be on what AIRFrame has added to the package. Suffice to say that it is fairly typical of the new issues under Hornby’s ownership. The shape looks generally good, I think that fit will be fine, and interior detail levels are adequate for the scale but nothing to write home about. The pilots look good with separate arms, but it seems judging from their size Airfix must think that the RAF is recruiting either children or hobbits. With such good resin seats it seems certain that these little men will be consigned to the spares box. 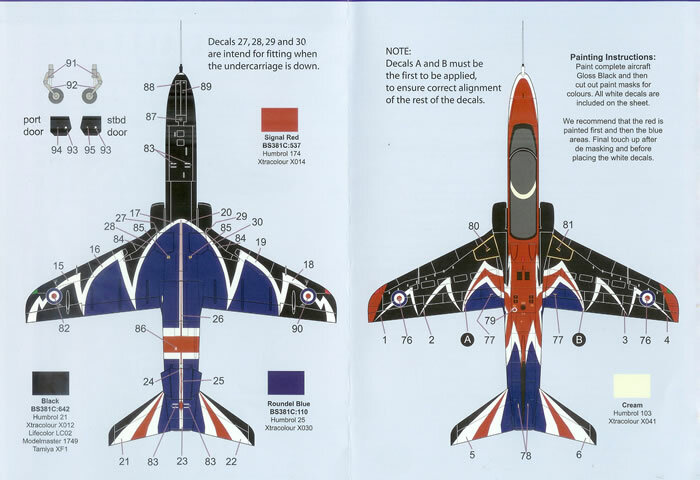 The raison d’être behind this AIRFrame release is the elaborate Union Jack colour scheme. Only the white St Andrew’s cross portions of the flag are provided as decals, the red, blue and black portions of the airframe must be painted. This seems quite sensible given the complexity of curves that any decals must conform to, and by restricting the decals to the white stripes it minimises the surface area of any given decal that must settle wrinkle-free. Having endorsed the approach of only providing the white as a decal two concerns now arise. The first is that the white decal will need to have very good opacity to avoid the red, blue and black of the rest of the airframe showing through, and causing the white vary in density. Secondly there is the challenge of precisely masking the red, blue and black areas. AIRFrame provides a mask which exactly mimics the outlines of the white decal. However these very complex shapes are simply printed on glossy paper, and will need to be cut out. Cutting these shapes out will be challenge enough, but then fixing them accurately to the model, and it’s a quite small model, is frankly rather daunting. 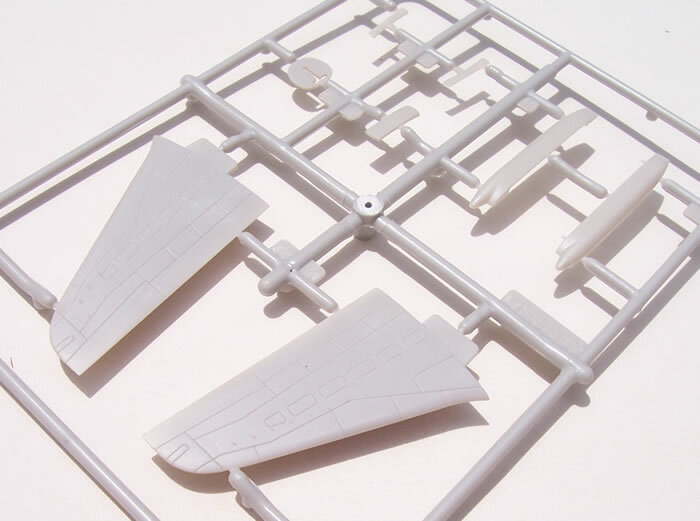 Just how the modeller will get the paper masks to adhere and conform satisfactorily to the model is unclear to me, although AIRFrame say “Cut out and position on model to paint areas as per colour instruction sheets”; so maybe I’m missing something! It seems to me that at the very least the shapes will need to be transferred to suitable masking tape. 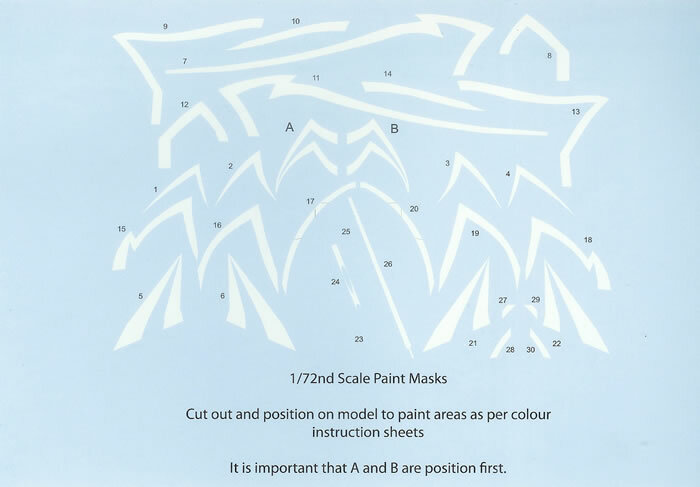 Alternatively un-stretched Parafilm could be placed over the paper mask and be cut out with a sharp knife, as Parafilm pieces will cling to models if pressed into place. If this package were done properly in my view it would include a pre-cut paint mask like the canopy masks produced by Eduard, and that are sometimes in other brands of kit with complex paint tasks. Such a pre-cut self-adhesive mask would obviate the need for any white decal stripes as white could be the first colour laid down, with the mask then providing the demarcations for remaining colours. Yes it would push the price up a bit, but it’s already sitting as added value package, so a couple of quid more shouldn’t hurt. The remainder of the decal sheet is very nicely produced, and should prove to be of good quality. Overall AIRFrame has a good concept here. 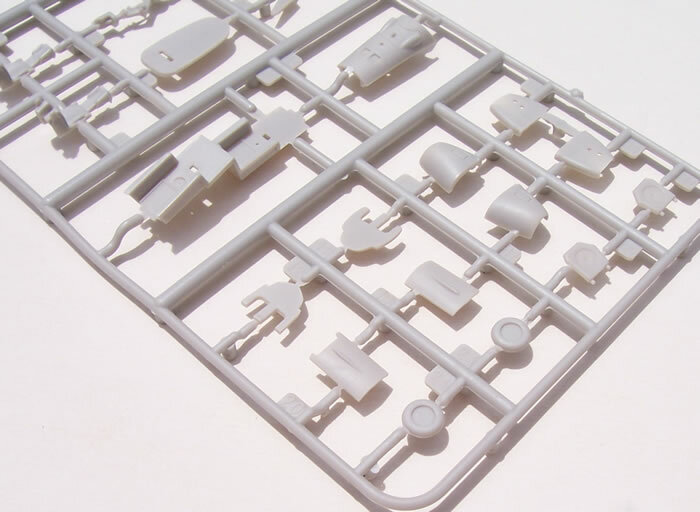 It could serve well those modellers attracted to subjects with complex special schemes who just want an easily buildable model that will look good in the display cabinet. The two quality resin ejector seats are “the icing on the cake”. The decals are also very well done, as are the instructions and packaging. But I’m afraid it’s a case of “Close, but no cigar” as far as I’m concerned. Cutting out paper mask belongs in the 1960’s, not the 21st century. The absence of a pre-cut, self-adhesive mask I suspect in one foul swoop places this kit beyond either the skills or commitment and patience of many who would otherwise be attracted to it. If it had a modern mask painting would be a mildly challenging but eminently satisfying process, leading to a glorious scheme. As it is only the most skilled and tenacious of us are likely to finish this one to the standard it deserves. Recommended only to those who are prepared for the masking challenge it presents. Thanks to The Aviation Workshop for the review sample.